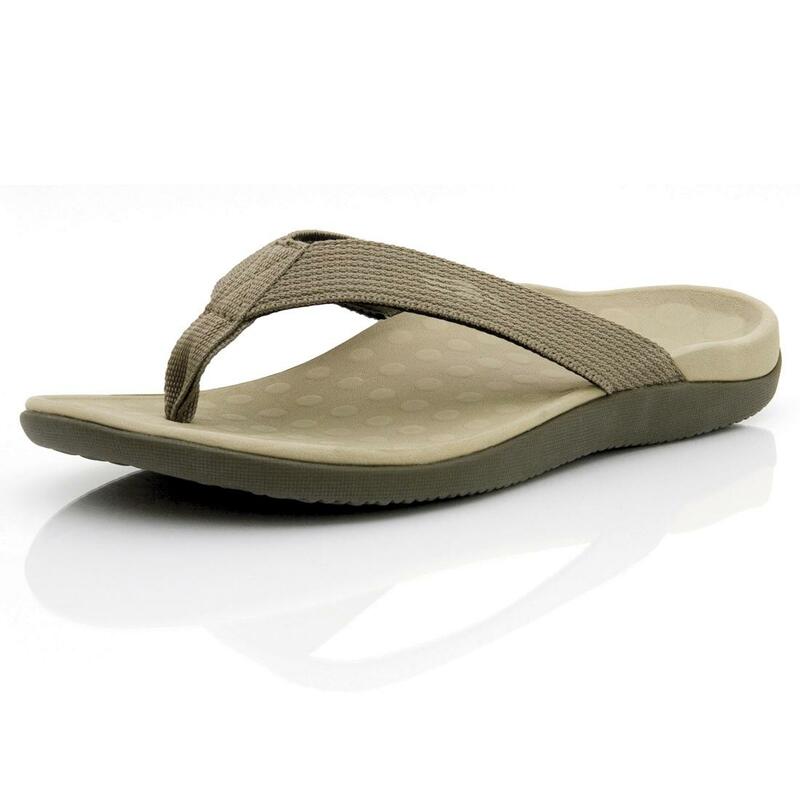 Orthaheel Men's & Women’s Wave in Khaki is a thong, flip-flop pronation control sandal. 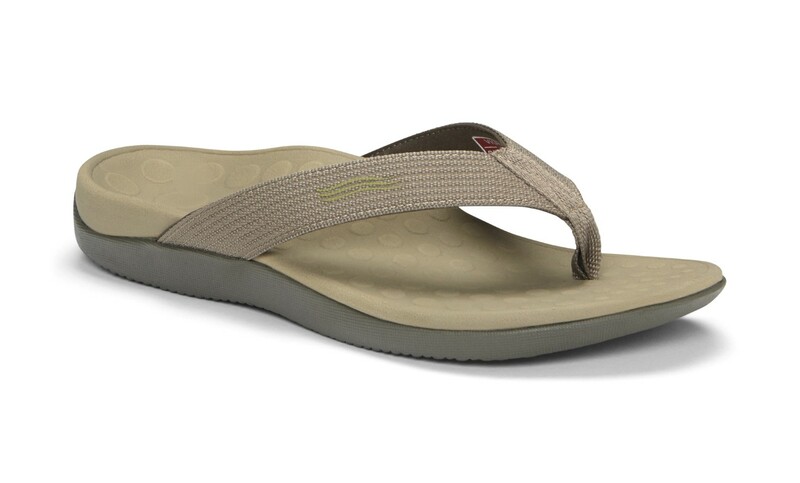 The Ortheheel Wave reminds you of wearing your favorite flip-flops! 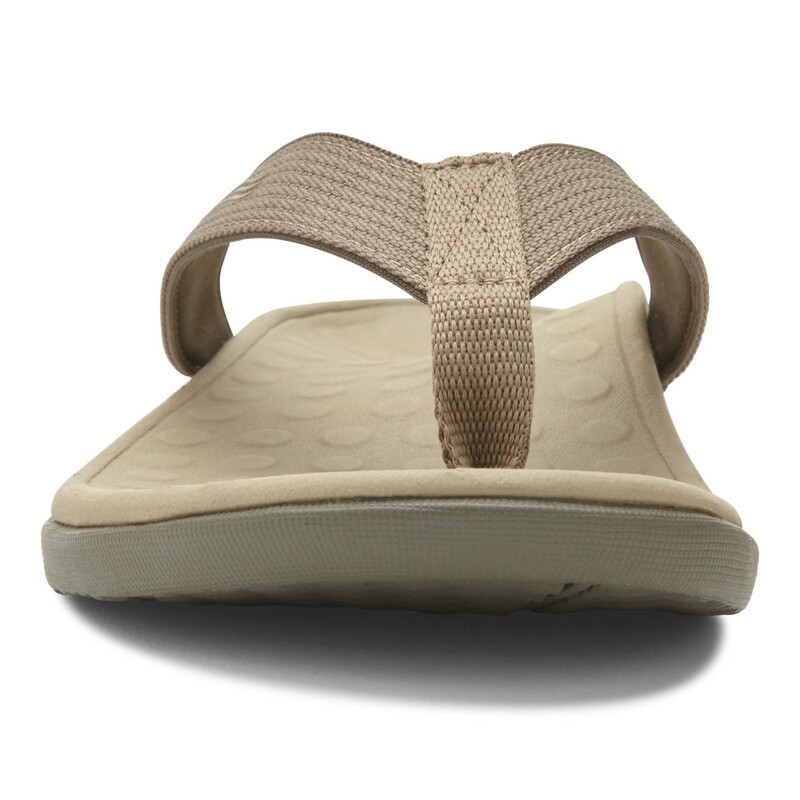 Orthaheel's best-selling Wave thong has a built-in orthotic so you can walk in comfort and enjoy sandals again! 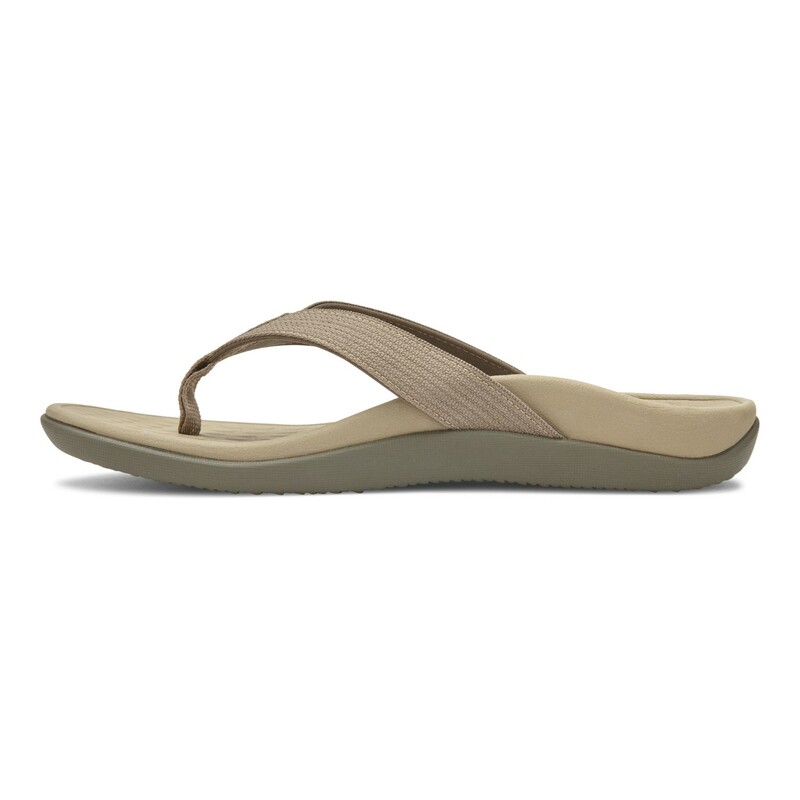 The unique motion-controlling footbed features a contoured arch and deep heel cup that realigns your stride and helps relieve foot and lower body pain. 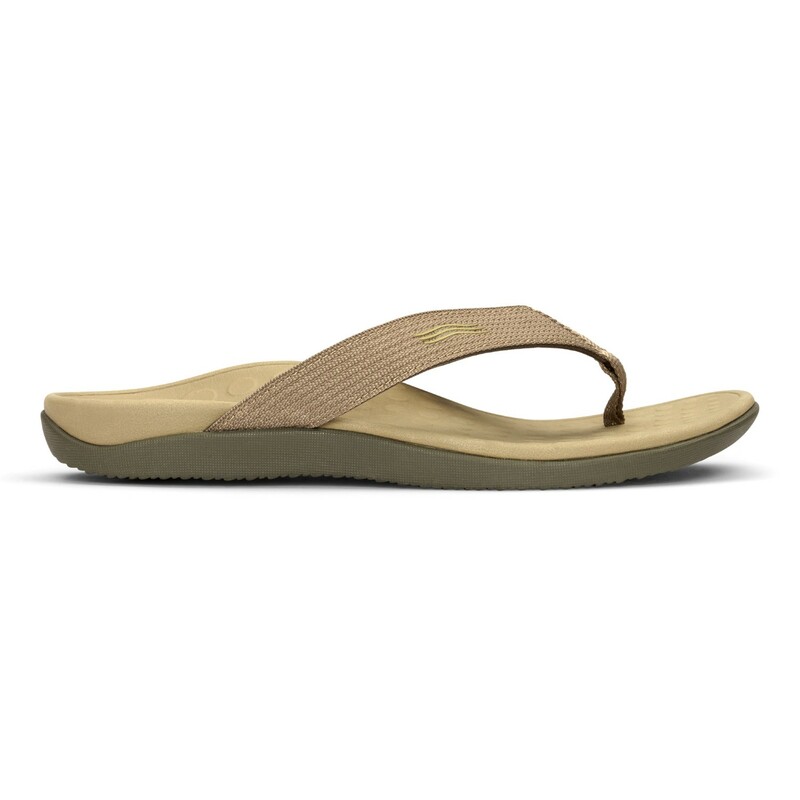 Durable TPR outsole with wave-patterned tread that helps improve traction. Convenient, pain-free "natural healing" solution to many of the common aches and pains associated with poor lower limb alignment. Orthaheel technology is clinically proven to reduce excess pronation, a contributing factor to "flat feet." Unisex, whole sizes; fits medium widths. At the beach and barbeque, after sports or indoors. 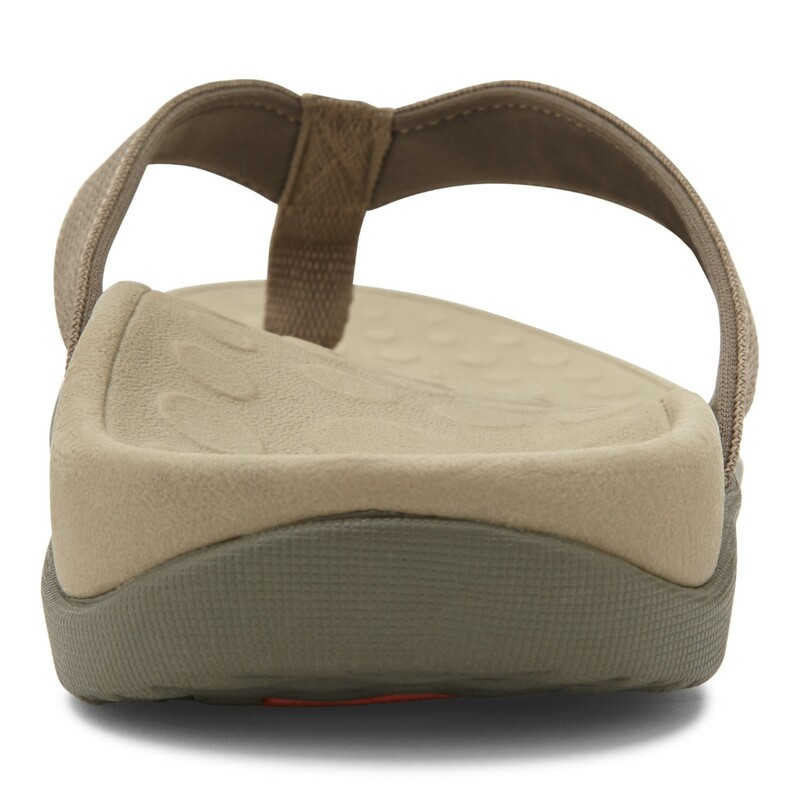 Relief from heel pain and plantar fasciitis. View all of the Orthaheel Wave Colors. Break-in note: If you have not worn arch supports before, it is important to allow yourself and your feet some time to adjust to the new support. 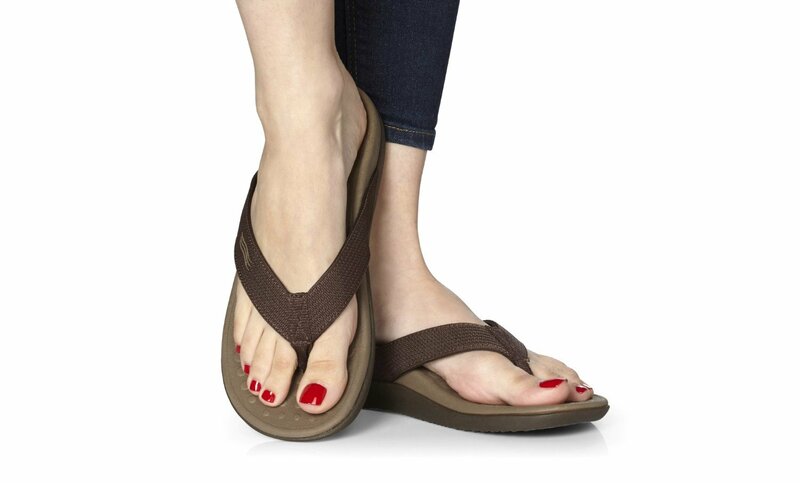 We suggest you wear the Orthaheel Pronation Control Sandals 2-3 hours for the first 2-3 days. After this initial break-in period, wearing the sandals all day should be comfortable and enjoyable. Some individuals take longer to adjust to the support, while others feel the benefits and comfort as soon as they start wearing them.